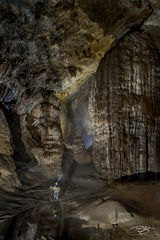 In March of 2017 I traveled to North Central Vietnam to trek to and photograph inside two of the world's largest caves, Hang Én, and the biggest of them all, Hang Son Ðoòng. 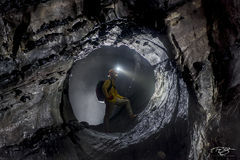 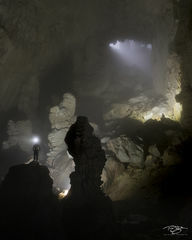 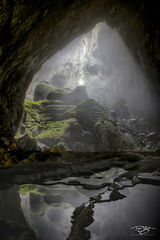 First discovered in 1991 by a local Vietnamese man who was foraging in the jungle for wood and sought shelter from a storm, he lost his bearings and was unable to find the cave again until 2008. 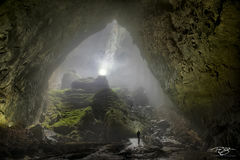 It was not until explorers from the British Cave Research Association entered would they realize the immensity of what had been discovered. 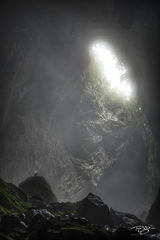 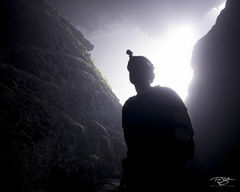 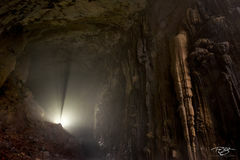 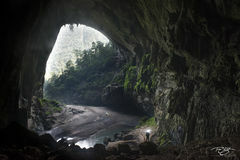 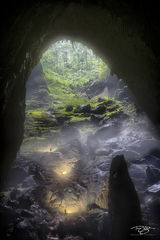 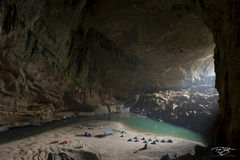 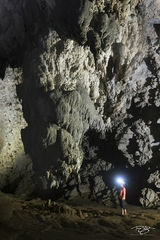 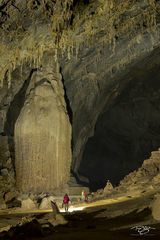 The cave was named 'Mountain Cave of Ðoòng' after a remote village in the jungle nearby. 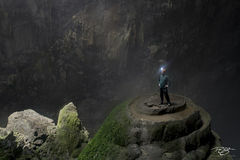 In Vietnamese, it would become Hang Son Ðoòng. 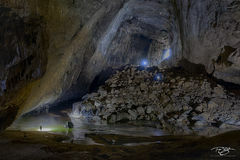 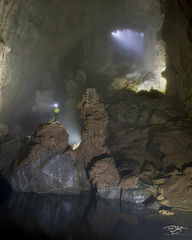 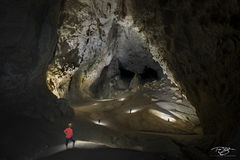 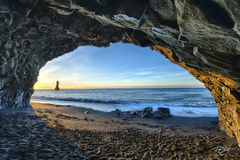 This and Hang Én, which is the third largest cave and must be passed through to reach the entrance of Hang Son Ðoòng, have beauty beyond words. 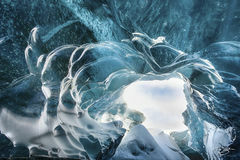 I have also photographed under the Vatnajokull and Breidamerkurjökull Glaciers in Iceland, which, like the caves of Vietnam, are otherworldly but in a completely different way as light bounces around through the transulecence of ice hundreds of feet thick. 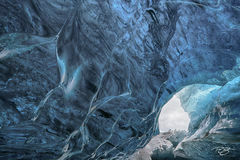 Click on the thumbnail image to view that image. 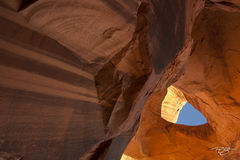 To purchase an image, you'll find choices below each photograph for different size and finish options.